Spend just four weeks in Southeast-Asia, and you’ll find that you can bring about a number of significant changes to your life. Not only can you expect to return culturally-richer, financially-poorer, and so proficient in non-verbal communication that you could recite a Shakespearean play using nothing more than hand gestures – (on one hand), but you can also expect to master the greatest challenge of them all – chopsticks. For years, I have struggled with the traditional cutlery of East Asia, and left a tragic trail of noodles, sushi, and rice in my wake. Steak on the other hand, has always had a decent grip on things. My ego simply could not allow this to continue, and so, after finally grasping the mechanics of chopstick-use this summer, I looked for any opportunity to show off. 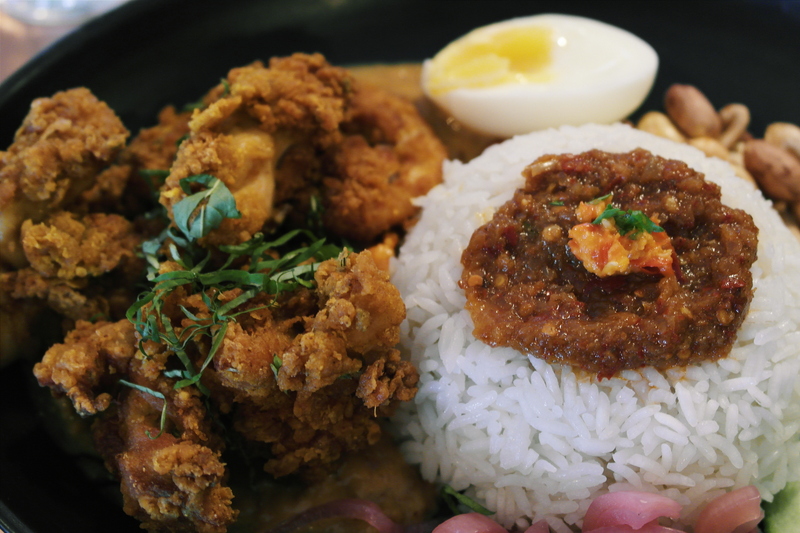 That opportunity arose when we visited Sambal Shiok, a tremendously popular Malaysian pop-up that has recently been operating out of “The Sun And 13 Cantons” pub. With just a few weeks left until this kitchen residency elapses, we had no choice but to sprint over and alleviate our deeply-rooted fear of missing out. 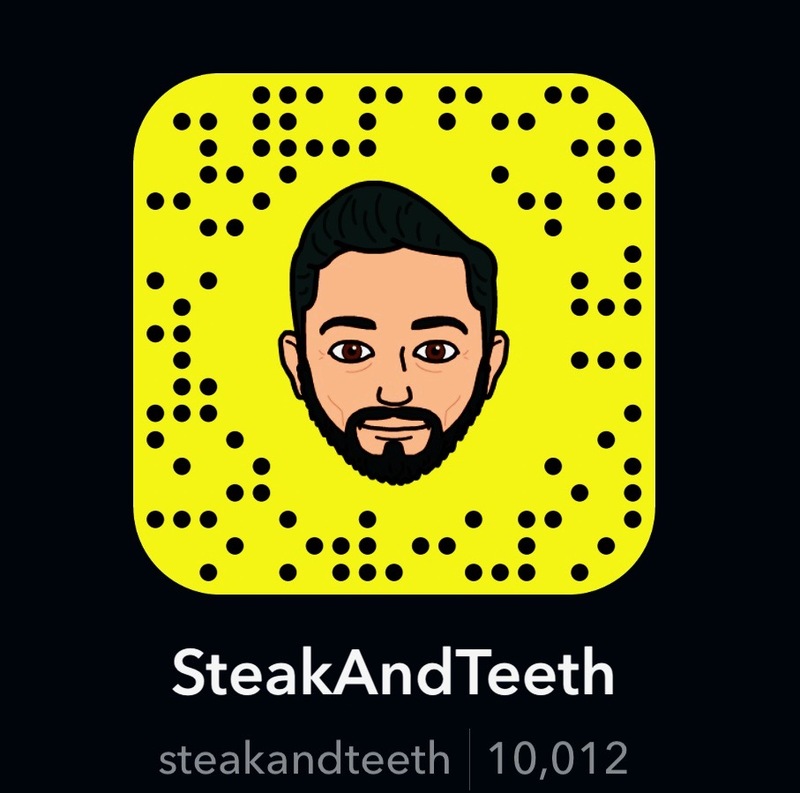 Note: All the meat served by Sambalshiok is certified halal. Alcohol is served at The Sun And 13 Cantons residency, which ends on October 2nd 2016. 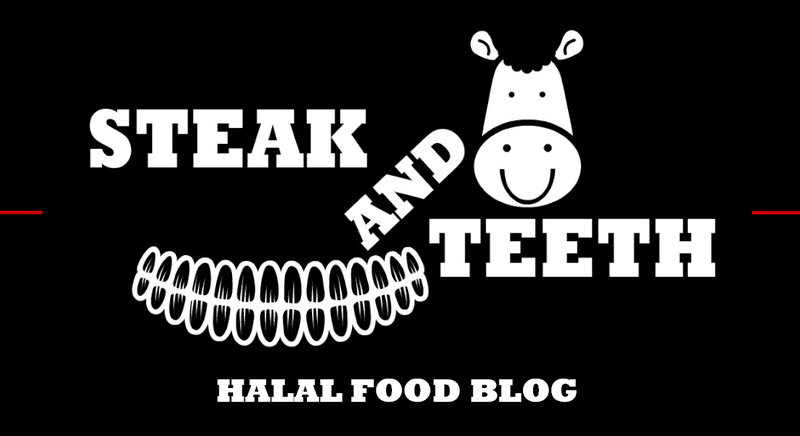 Please visit Sambal Shiok’s website to see their current areas of operation. The menu served by Sambal Shiok varies from location to location, and one of the many items that we were interested in from The Sun And 13 Cantons was the helping of Hainan dumplings. Each dumpling consisted of a moist and tender chicken core that was topped with a generous dollop of chilli and garlic, resulting in a ferocious, spicy kick that singed the senses throughout the day. However, the casing itself was a little tough, and instilled a little bit of doubt as to whether the dumplings had been freshly cooked. Once I had dissipated the heat of the dumplings with a couple of sips of water and a small fire extinguisher, I moved on to my order of nasi lemak with beef rendang. Much to my delight, the rendang was phenomenally soft and creamy in texture, and was packed with layers of concentrated flavours that struck the tastebuds from multiple dimensions. Each bite was as tantalising as the last, and one had to wonder whether they had indeed used “eleven spices” as claimed, or something a little closer to “a thousand”. The accompanying egg meanwhile, was slightly soft-boiled, resulting in a creamy yolk that complemented the rendang well, whilst the soft rice soaked up all the oils and spices, thereby ensuring that not even a drop of flavour was lost. As my favourite Malaysian / Indonesian dish, beef rendang is always a “make-or-break” point for me, and I honestly believe that Sambal Shiok may just serve one of the best beef rendangs to be found in London. Steak meanwhile, opted for the ayam goreng. This was composed of tender fried chicken with a crispy and crumbly batter and the same rice and soft-boiled egg that accompanied my rendang. The chicken itself was remarkably well-seasoned, and was complimented by a particularly strong and nutty peanut sauce. Compared to the rendang, the ayam goreng had a far simpler set of flavours, but it was equally satisfying nonetheless. The Hainan dumplings cost £6, whilst the rendang and ayam goreng cost £13 and £12 respectively, amounting to a total bill of £31. Whilst a meal here won’t leave you scrounging around the bins for the next one, we do feel that the prices were just a little bit steep in relation to the amount of food that we received, and the nature of Sambal Shiok’s business. That said, both the quality and calibre of Sambal Shiok’s food is fantastic, and that’s enough to warrant the expenditure. The service we received during our visit was speedy and efficient, but we noted that many of the staff members lacked a certain sense of enthusiasm for the food that they were serving, and the people they were serving it to. Such a frosty reception leads me to believe that the staff members serving us were under the employ of The Sun And 13 Cantons, rather than Sambal Shiok itself, but this in itself does not serve as a valid excuse. 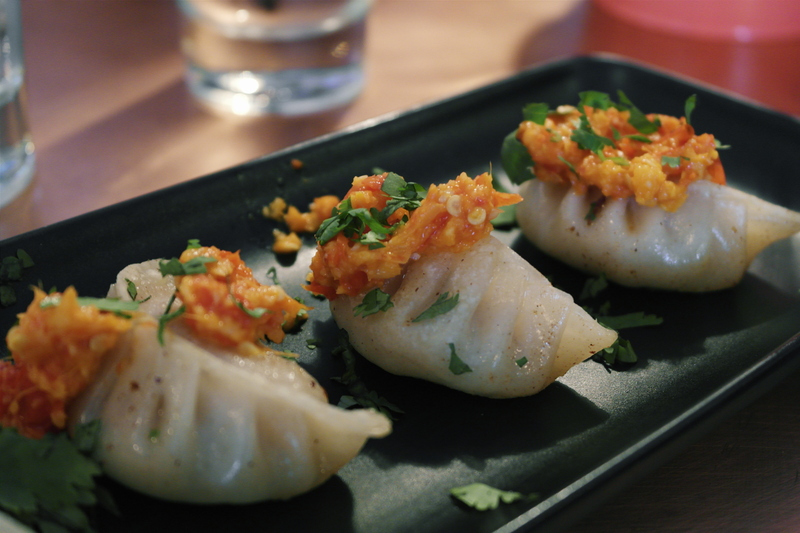 When it comes to Malaysian cuisine, London can be a bit of a “hit-and-miss” city. Of the numerous Malaysian restaurants to be found in the capital, there have been very few that have stood out to me as being “something special”. Having visited Sambal Shiok, I now wonder whether the pop-ups and streetfood vendors are where the real magic lies. Whilst the selection of dishes may not be as extensive as that at a full-blown restaurant, Sambal Shiok offers a fantastic take on traditional Malaysian cuisine, and the sheer depth of flavours to be found in their rendang alone is worthy of recognition and praise. 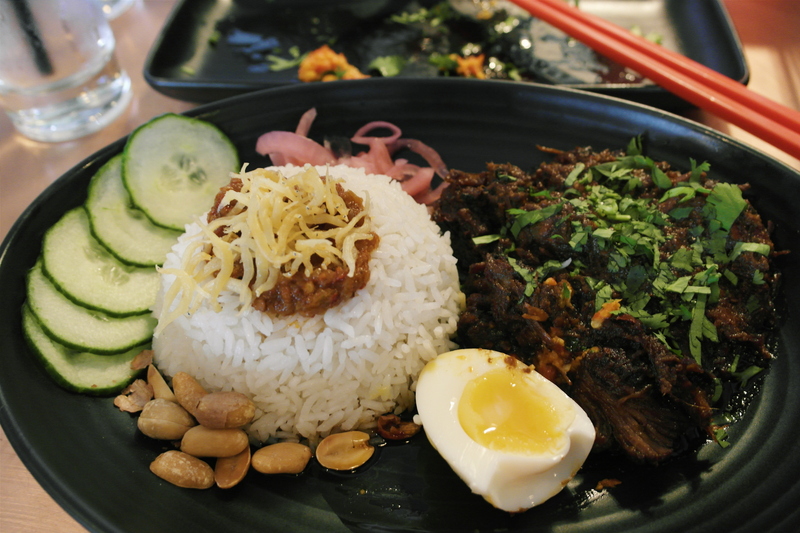 If you don’t make it in time to visit them at The Sun and 13 Cantons (ends 2nd October 2016), be sure to visit them at one of their other locations, and prepare yourself for a hearty and wholesome Malaysian meal.